Frank Sinatra's widow, Barbara, has dismissed Mia Farrow's allegations her son Ronan is "possibly" Sinatra's child, calling them "lies". 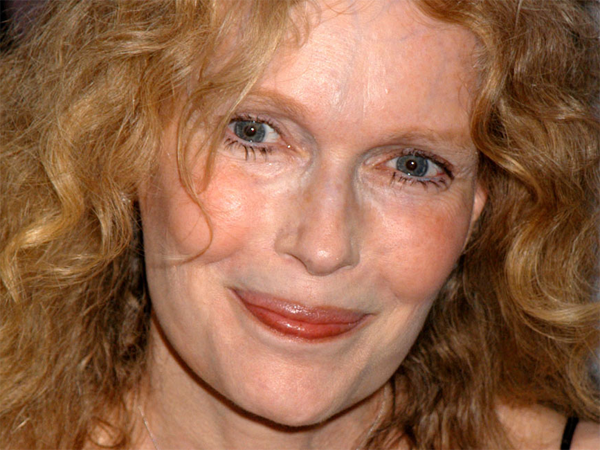 Frank Sinatra's widow has slammed claims he fathered a child with actress Mia Farrow. Mia shocked the world this week by telling Vanity Fair's November issue her 25-year-old son, Ronan Farrow, was "possibly" fathered by her ex-husband, Frank Sinatra, since she’d continued sleeping with him long after they separated. However, Barbara Sinatra ? who was married to the legendary crooner from 1976 until his death in 1998 ? has dismissed the allegation as a "phony deal". The 85-year-old widow told Californian newspaper the Desert Sun, "I can't hardly believe that. It's just a bunch of junk. There's always junk written ? lies that aren't true." She added that if it were true her late husband would have left something to Ronan in his will. Mia was married to Sinatra for less than two years between 1966 and 1968, but insists they "never really split up". The Rosemary's Baby actress has four biological and nine living adopted children, two having died, from her marriages to composer André Previn and director Woody Allen, who was always thought to be Ronan's biological father. Woody has also since responded to the claims, with his representative telling The Hollywood Reporter, "The article is so fictitious and extravagantly absurd that he is not going to comment." Meanwhile, Ronan took a humorous approach to the situation, joking on Twitter, "Listen, we're all *possibly* Frank Sinatra's son."